← How to Lock Your Bike at Bike Party! Hey Bike Partiers! 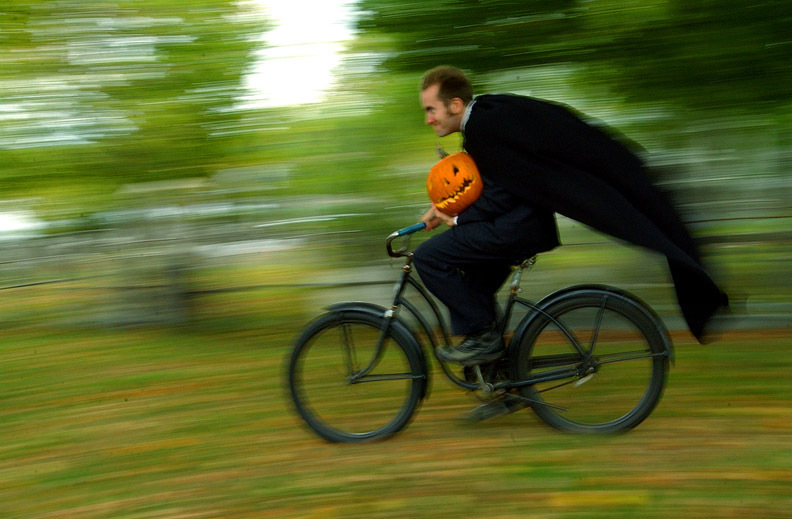 Here’s everything you need to know for this month’s spooooooooooky Halloween ride! 3) START: Meet as usual at 6:30 at St Mary’s Park in Seton Hill and roll out at 7pm. Did you know that every month Seton Hill Community Association provides BATHROOMS for us? Head to the backside of the small building in the park. Also, Race Pace Bicycles will be on hand to help pump up tires and other small tweaks! 5) PARKING: We encourage everyone to BIKE to the event, but if you are coming from out of town, consider parking near the after party and biking up to the start while it’s still light out! There will be *limited* parking at the Museum of Industry (see the green spots near the BMI on this map) or some parking along Key Highway. Otherwise, consider using the lots at McHenry Row or the garage by the Harris Teeter! 7) When you arrive at the after party, please PUT YOUR BIKE INSIDE THE CORRAL. Bikes locked up out on Key Highway are MUCH more vulnerable to theft! Read more about how to lock up here. 8) There will be a COSTUME CONTEST during the after party with EPIC PRIZES. To participate, you must be given a nomination badge by one of our dozens of volunteers that will be throughout the ride! The badge will have all the info on it, and the contest will take place at 10pm! 10) AFTER-AFTER PARTY: We have to close down at the BMI at 11pm, but that’d be a lame Halloween, so for the AFTER-after party, head over to Little Havana’s next door to continue the fun! Be sure to take your bike with you and lock it up by LH. If you leave it in the BMI lot after ~12am you won’t be able to get it back until the next morning. 11) We STILL need some volunteers to make this month awesome! Help us out HERE!